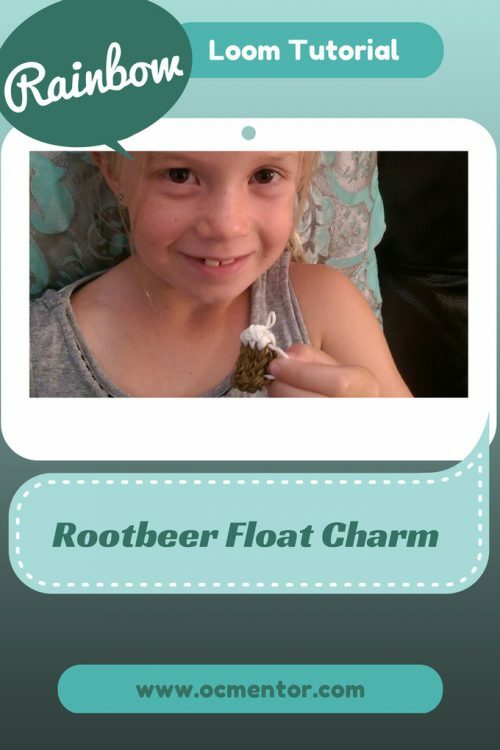 Today we are back with another rainbow loom tutorial; today Cal is sharing how to make a Rootbeer Float Rainbow Loom Charm! Step 2: Take two white bands and place them on the peg you left off on. Extend them to a diagonal right. Step 3: Take two white bands and place them on the center peg. Extend them diagonally to the left. It will look as shown above. Step 4: Place two white bands extending off of the top right peg you left off on. 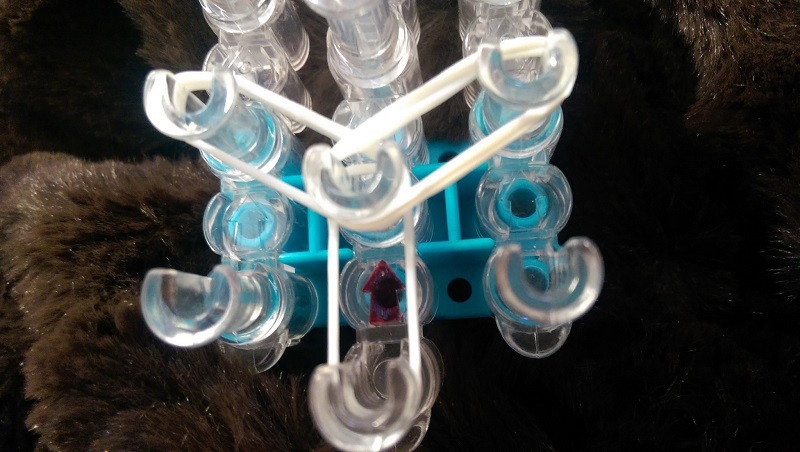 Do the same on the center and left pegs as shown. Step 5: Place two brown bands extending off of the top right peg you left off on. 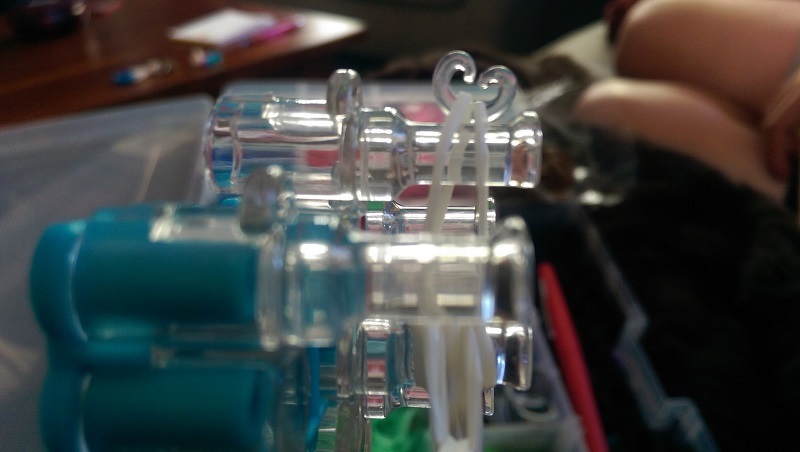 Do the same on the center and left pegs. Repeat for two more rows. 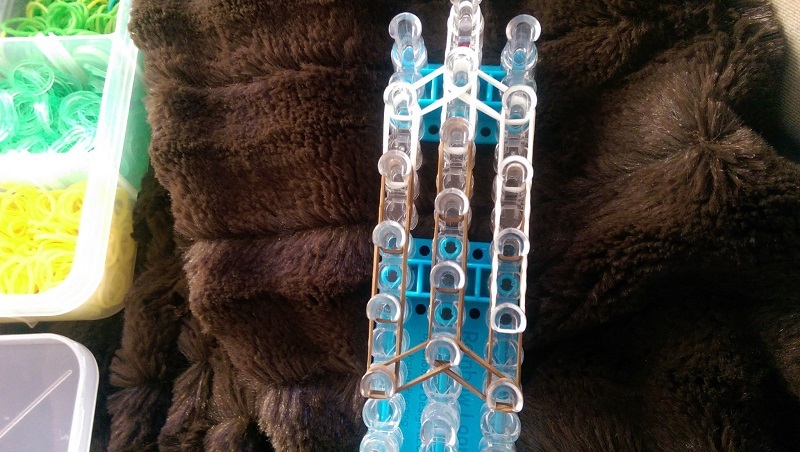 Step 6: Now I have flipped my loom. Then, place two bands extending off of the center peg at a diagonal to the right and repeat to the left. Push all bands down at this point. 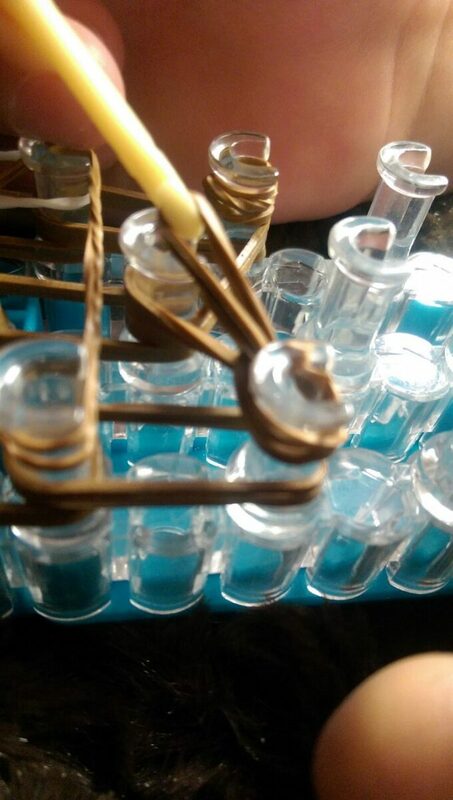 Step 7: Get one brown band and hook it on the lower right peg. Make a figure eight with the band and wrap it around that peg. Do this two more times. Repeat this process on the lower left peg. Step 8: Now go one peg up on the bottom right side and place a white band on the peg. 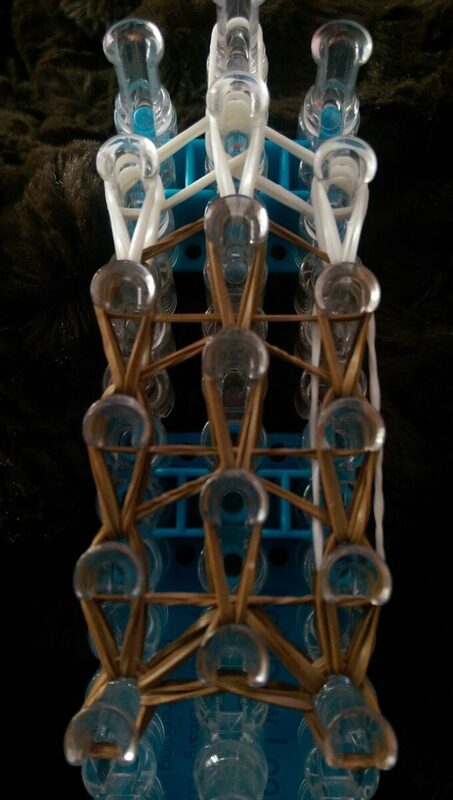 Extend it straight up two more pegs so it covers three pegs total. Step 9: Hook a brown band over the left peg that is second from the bottom. Hook it over the center peg that is slightly diagonal to the right and the peg directly to the right. 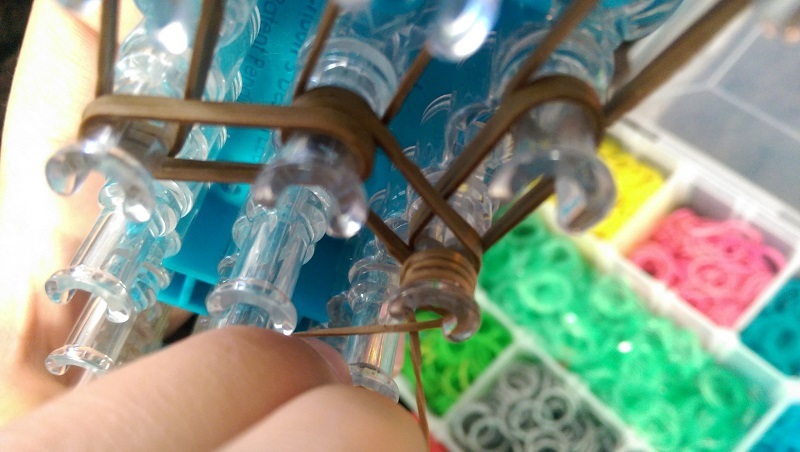 Do a figure eight and extend it back over those same three pegs. Repeat this two more times on the next two rows of pegs as shown. Step 10: Below the capping on the bottom left corner, hook the top two bands and extend them diagonally right to the center peg. Do the same for the bottom right. Step 11: Take the two bands that are left below the bottom left capping band and hook them onto the next peg up. Repeat this process going straight up the left side of the loom including the white band. Repeat this process going up the entire center of the loom and then the right side. 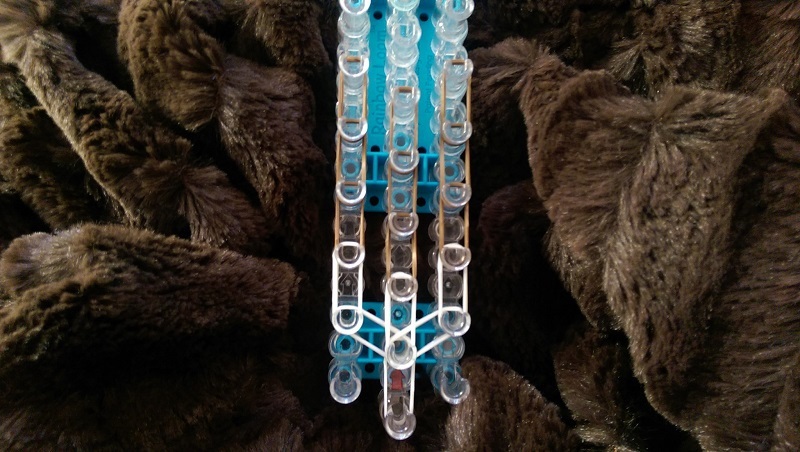 Step 12: Take the two bottom white bands from the top left of the loom and hook them to the middle. Do the same from the right side to the middle. 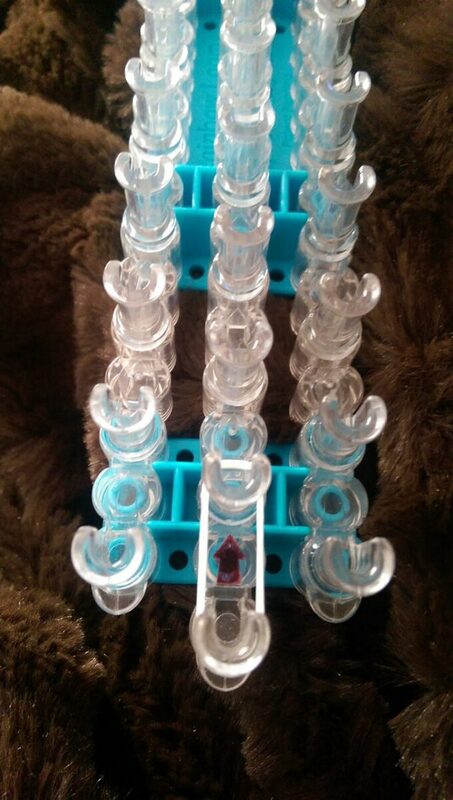 Step 13: Go to the second peg down in the center column at the top of your rootbear float. 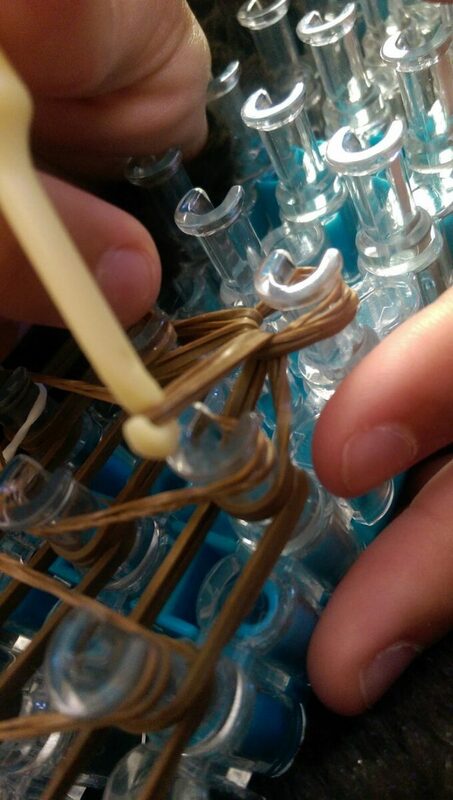 Hook the lowest white rubberband and pull it over the top center peg. 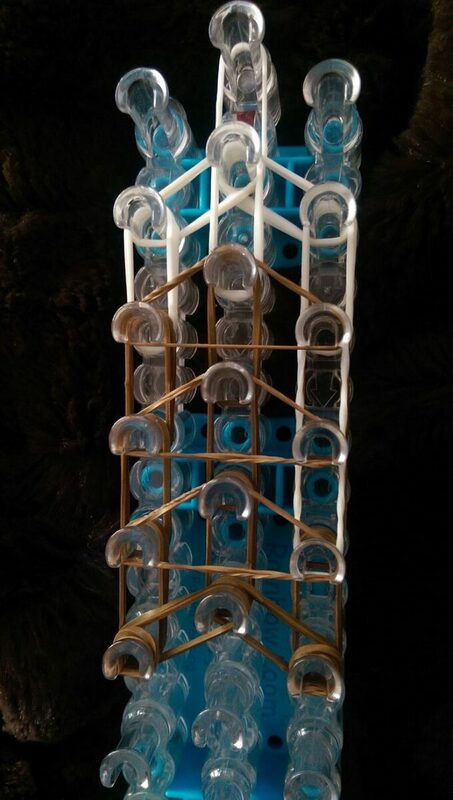 Now put an S or C Clip around the two bands on this top center peg. 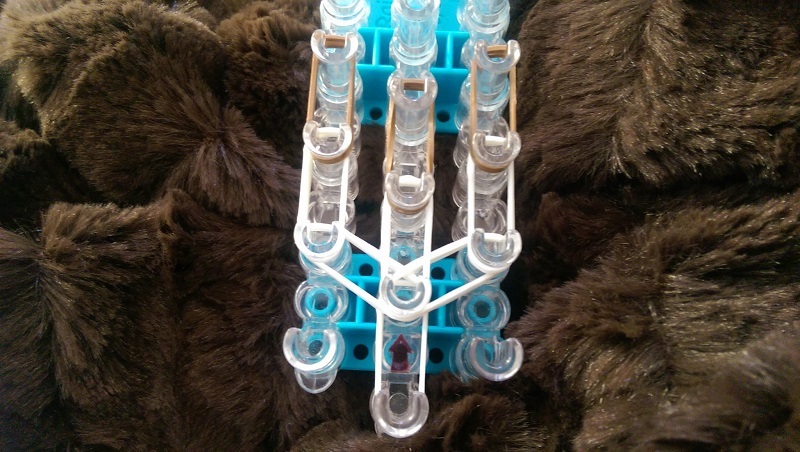 Step 14: Carefully pull the rootbeer float off of the pegs starting at the bottom with the brown bands. Step 15: Stretch your rootbeer float out a little and put your finger through the bands holding the C clip. Take the C clip off and don’t pull your fingers out. Take the band facing away from you and pull it over the band closest to you. Pull the band sticking up a little bit to tighten and YOU ARE DONE! 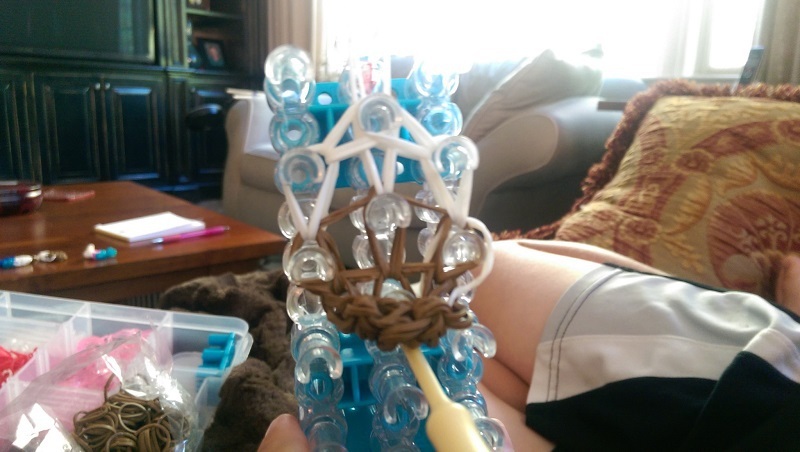 If you are new to the Rainbow Loom scene here are some supplies to get you started!